Let’s be honest – I have absolutely no idea what this place was actually called. 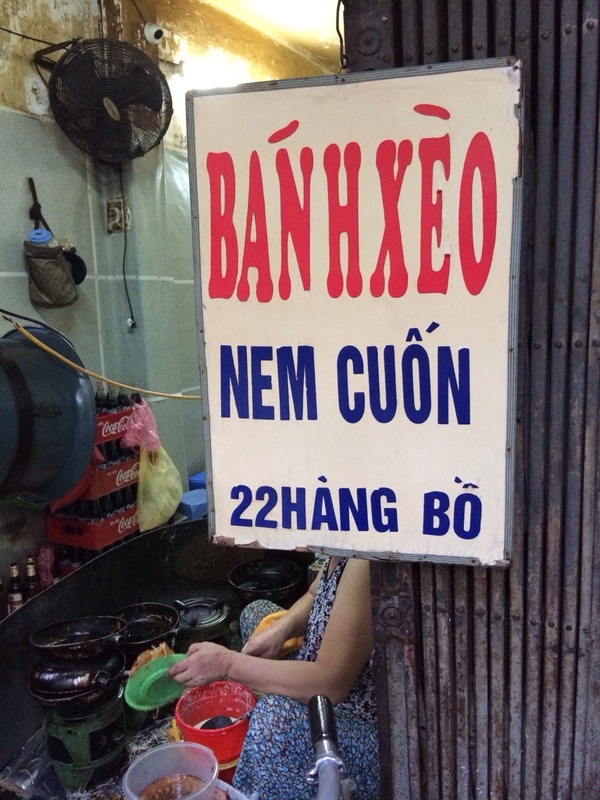 I just know that the banh xeo I had here was delicious! Sib and I stumbled on it by chance, as we did with almost everything in Vietnam given that we couldn’t speak the language or read any of the signs. 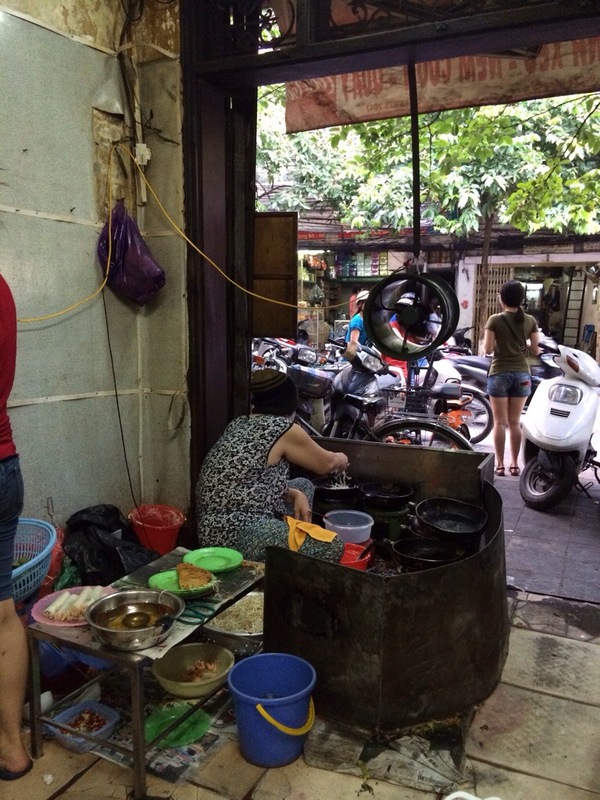 We actually passed this place one night, on Hang Bo St on our way to a market, and thought it looked pretty cool. When we passed it again the next night, again by chance, we decided to stop and eat! 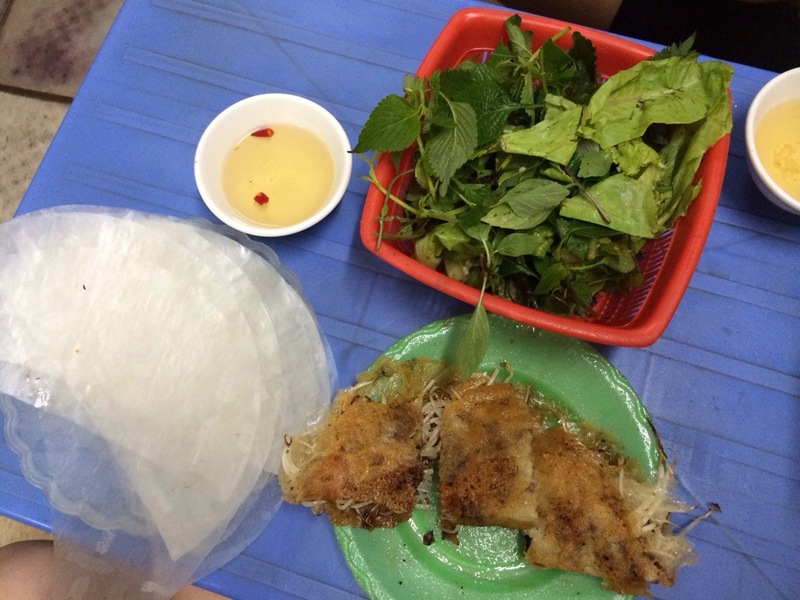 It was a lost crispier and thinner than the more cakey versions we’d tried in Hoi An; full of flavour, though. There was just this one old lady running the show, with younger girls/her minions running around dishing out her cooking to the hungry crowd gathered under her roof. It was one hell of a show, so crazy and noisy and a lot of fun! I’m glad I actually got a photo of the sign/address, so when I go back to Vietnam, I’ll be able to go back!